Lee's old AC made the mag . The one with the drop tanks . 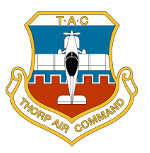 I noticed that the Thorp is not on the type club page of the EAA online. How about putting this forum on it?